Home / Anti-Forensic / Backtrack / Exploit / Hacking / Linux / Metasploit / Penetration Testing / Security / Security Tools / Windows / Metasploit | A guide for beginners and newbies. Metasploit | A guide for beginners and newbies. It is an exploitation framework written in ruby language used for devloping and executing exploits on a remote host after assessing the vulnerability.It has a wide range of pre developed exploits and few useful applications like "nmap" attached with it.It was primarily developed for penetration testing but now it has come out to be must needed tool for hackers. Note:All the screen shots in this post are from Windows OS. It is similar to a vehicle in real life that helps in entering or penetrating to a system because of any vulnerability or any flaw in the system. These are few other applications combined with the framework like sniffers,enumeration tool. Exploits are sometimes detected by anti-virus so these encoders can be used to make the exploits undetectable and manipulate the code. Known as no operation generators are helpful in letting the exploit remain undetected from IDS. The extend the functionality of the cosole. As the name signifies it will show some commands for reference. If you want to search an exploit and donot know the excat name then.For example search windows as shown in the image below. After the desired exploit has been sorted out then use this command to select he particular exploit as shown in the image below. If you want to use a particular option once then this command is used as shown in the image below. It is same as "set" but the "g" stands for global so if you want to use a particular option for the complete session then use this command. Only "show" command will display all the exploits,payload and auxillaries at a time on the screen but if used as "show payloads" etc will show only the payloads as shown in the image below. It displays the needed information about an exploit or payload. After every thing is set this command is used to run the exploit. After the exploit is succesful then to see the sessions this command is used and then the ID is used to select a specific one. Suppose a meterpreter session is running successfully then "Ps" will display the processes running in the exploited system. It somtimes happens that the process to which the meterpreter is being injected is a temporary process so here the migrate command can be used to tranfer the meterpreter to some other process by specifing the process id. You can setup a "Pentesting Environment" at your home using Virtual environment,find out here. 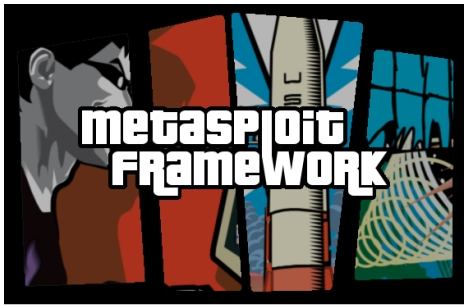 For more information on Metasploit visit here. Oh this frame works seems to be cool! The info that you had given can be used not just by the newbies but even by the script kiddies. I think this app/tool can be utilize only if the hacker had already search the vulnerability of the program that he/she wants to hack. REALLY good post , all the explaining and stuff, but i dont really understand , a real noob here . hope u can explain in a much easier way for a noob , i have no background in this stuff , but really interested in this area . Awesome post!! I love the msf! !